A new way to experience one of Brisbane's top restaurants. 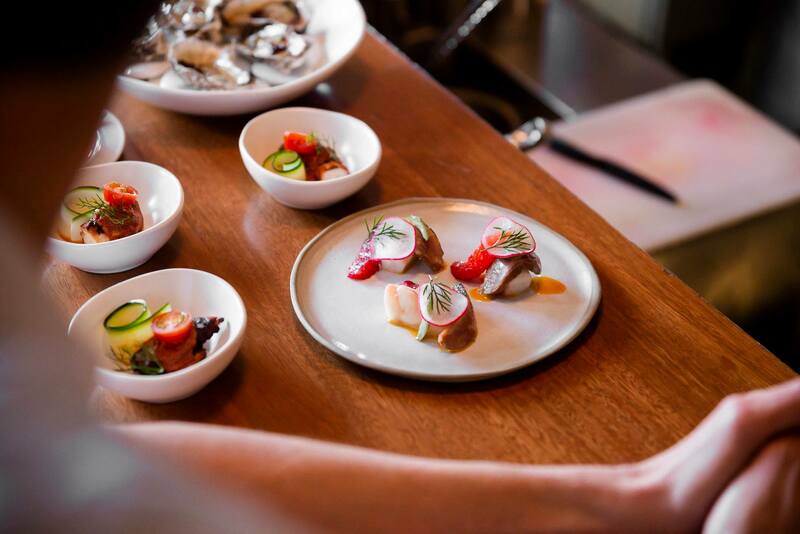 What Aria’s Head Chef, Ben Russell, describes as a “fun side project” for Aria Brisbane is a blessing for the iconic venue’s foodie fans – two glasses of wine with five tastes from Aria’s chef’s emerging and experimental menu for just $65. Long-term Aria fans will love the chance to interact with the venue’s sommeliers and chefs in Aria’s bar, while foodie newcomers will relish the opportunity to experience the best of Aria in an affordable and engaging way. Trial Fridays happen from 5:30pm-7pm twice a month; February 8’s event is already sold out, but tickets to Trial Fridays on Friday, February 22 are still available – nab one here to catch the last of summer produce with Aria’s chefs and sommeliers.